Before this site was re-branded in 2013 under the All Freelance Writing brand, it was known as All Freelance Writing. 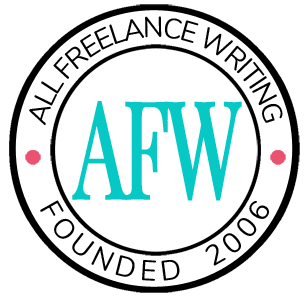 For a while, All Freelance Writing was a group blog with a handful of regular contributors. The site's 10-year anniversary felt like a great time to reach out and reconnect with some of those writers. So, this month, four former contributors to the blog will stop by to share their stories, look back at how the industry and their niches have changed, and offer tips for newer freelance writers for old times' sake. 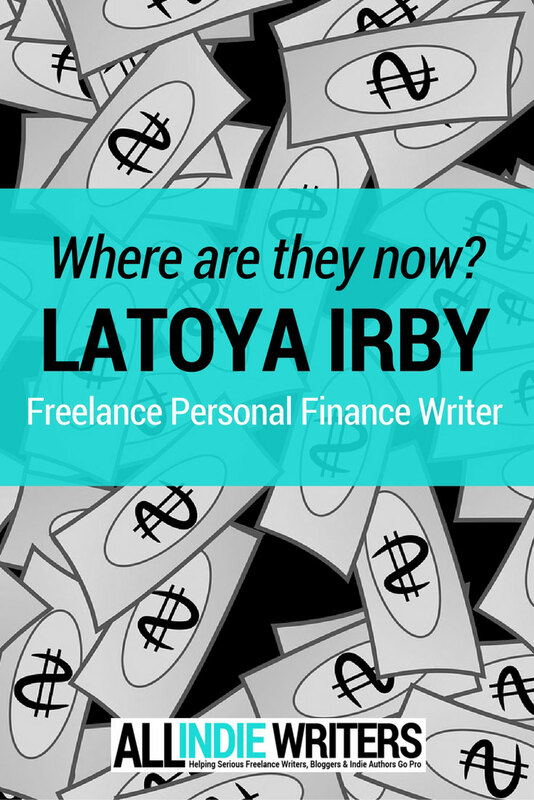 My first guest is LaToya Irby, a personal finance writer who covered financial issues facing freelancers. Let's see what she's been up to. Tell us a bit about your specialty as a personal finance writer. When did you start covering that niche, and what kind of background led you into it? I first started freelance writing in 2005 partly out of dissatisfaction from my day job, but also because I wanted to write. I started covering personal finance very early in my writing career, maybe around 2006. In the beginning, I was writing about lots of different things - pretty much taking whatever gigs I could get - and the personal finance articles always excited me the most. I have a business degree and managed a multi-million dollar corporate budget at my first job out of college, but I believe the interest and excitement were my best assets. Personal finance isn't something you go to school for, but rather something you read up on and learn through personal experience - yours and the people who are willing to dish about their money problems to you. I'm a pretty good problem solver too, so a lot of my content is geared around solving financial problems. What's been going on with you since leaving All Freelance Writing? Have you been involved in any interesting projects that you'd like to share? I've been covering credit and debt management for About.com, now part of TheBalance.com, before and since leaving All Freelance Writing (9 years). I'm very proud of the work I've done for About, the amount of content I've built, and the people whose lives have been impacted by my work. I constantly receive emails from people thanking me for the help and that makes it so more worthwhile. I've also had countless freelance jobs over the past few years. I've written for startups in the personal finance space, managed social media for dozens of clients, and continued to provide content for a handful of longtime clients. A few friends and I have partnered to develop a couple of (non-personal finance) mobile apps - one is almost complete and other will start development in a couple of months. What's the biggest change you've seen in the freelance writing industry (or in your particular niche) since your days writing for All Freelance Writing? There are a lot more bloggers covering personal finance since I've left AFW. Back then, there were only a handful of bloggers and now there are too many to keep up with. Personal finance content has grown so much there's now an annual conference - FinCon - for personal finance content providers. I get most of my writing jobs through cold & warm pitching and through clients who've found me. I'm not completely sure how newer writers are finding jobs now. But, there are a couple of major changes I've seen with freelance web writing. I think rates have gotten better for freelance writers and Google is partially, indirectly responsible for that. Back when I first started out and a little into my time at AFW, the trend was niche content websites where webmasters could throw up a ton of keyword stuffed or rewritten articles, get some backlinks from article directories, and make money from Google Adsense. They were paying writers something like $5 to $10 for 10 or 15 500-word articles on all sorts of random topics. Fortunately, Google realized that quality trumps quantity and they've changed their search engine ranking system to reflect that. Those particular low paying jobs have dried up as far as I can tell. Another big change has been the disappearance of content farms. These were also very popular among starting writers when I was writing for AFW. Content farms were sites that paid freelance writers low amounts (like $5 to $10 per article) to crank out high volumes of content. Many of these sites aren't around anymore, but those that survived Google's algorithm changes completely revamped their content model, have built better reputations, and provide better quality content. What's the biggest change to occur in your own career in that time? My career has pretty much been the same, which is both a good thing and a bad thing. Good because I've been consistently earning from freelance writing, which I was never really sure I could do. On the downside,I hate to think that I'm doing so many of the same things I was doing 5 or 6 years ago. I could definitely be doing more, but I've always had a bit of impostor syndrome and fear of taking risks. In the past few months, I've gotten over some of that and I'm working on a couple of new websites that will launch in the next six months or so - one in the consumer credit space and another related to the business of accepting payments. One is a solo project and the other is a partnership with a good friend of mine. A little aside - I interviewed for a couple of full-time writing positions in the personal finance space within the past few years. One job involved providing financial content for a major bank's website, the other was a writing position with major personal finance website. They were both great opportunities with big companies. I would have been honored to work with either company, however I would've had to stop freelancing on personal finance in both cases. Ultimately, I decided I couldn't take the jobs and give up my freelance career. You used to cover freelance financial topics for the blog. So, if you could give new freelance writers one tip about managing their freelance earnings, what would it be? Gosh, just one? Ok, so this is about managing freelance earnings, so telling writers not to write for super low rates doesn't qualify. The best thing for writers to do is manage their feast and famine. Freelance income isn't like job wages where you can expect to earn the same amount each month. Some months you'll earn more and some you'll earn less. During the months that you earn more (your feast), set aside as much as you can (close to everything) above your regular monthly spending. That way during the months you earn less (your famine), you can have a surplus you can use to supplement your income. Check back throughout the month to hear from other past All Freelance Writing / All Freelance Writing contributors including Rebecca Garland, Chris Bibey, and Yolander Prinzel.